Renationalising the water and energy industries would save customers more than £6 billion, according to an investigation by the independent research group Corporate Watch. 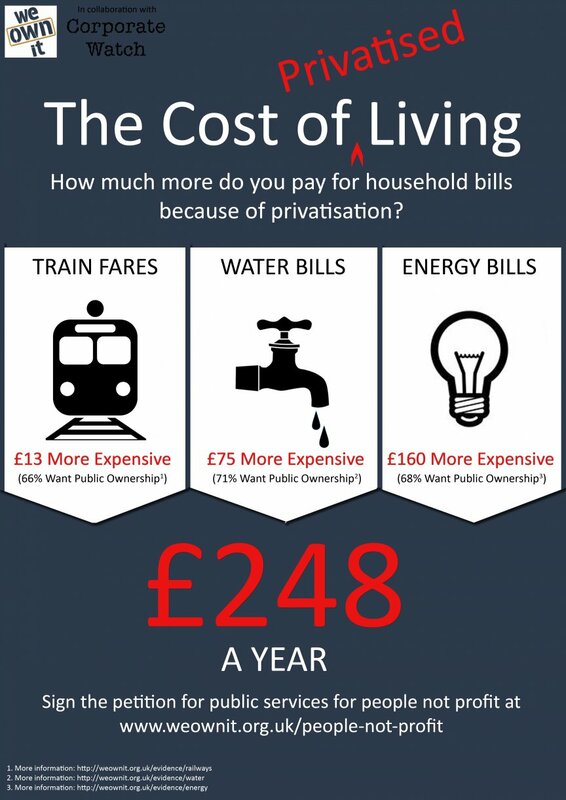 They say a renationalised energy industry would cuts costs to consumers by £4.2 billion per year, and a public water sector would save £2 billion. This equates to £160 and £75 from annual customer electricity and water bills respectively. As bills spiral ever higher and wages stagnate, Green Party policy of bringing these into public ownership really needs to start being taken seriously.